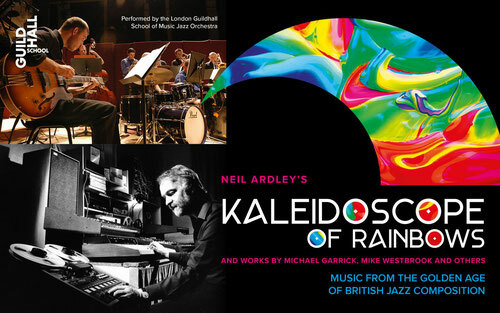 The Jazz Orchestra of the Guildhall School of Music and Drama, based in the City of London, will perform Neil Ardley's works. Neil Ardley's seminal children science book has been re-published and is packed full of exciting discoveries for budding inventors and curious minds aged 8 to 12. Highly recommended and a reminder of yet another dimension of this talented man's body of work. "If Le Déjeuner Sur L'herbe represents a crystallizing moment in (Neil Ardley's) career, it also defines a unique period in British jazz. The lion was no longer en passant. It was rampant and it could roar." "... this reissue rightly sets into relief how extraordinary deep one man’s vision was." " ... one of the great gems of the revolutionary British Jazz, which developed in the Golden Decade (1965-1975) and changed to face of music as we know it." "utterly charming album ... tranports the listener on a truly magical journey"
"... after an eight year gap since ‘Greek Variations’ first became available on CD, the release of ‘A symphony of Amaranths’ album complete with digipak gatefold sleeve is one of the most welcome re-issues of recent years"
The most romantic and harmonically dense piece of music that the late Neil Ardley ever composed, this seminal album was scored for a large jazz orchestra, this highly-collectable 1971-recorded album also contains two vocal settings by Ardley, being the earliest example of his vocal music. Click here to learn more about this exciting reissue and to purchase the album.